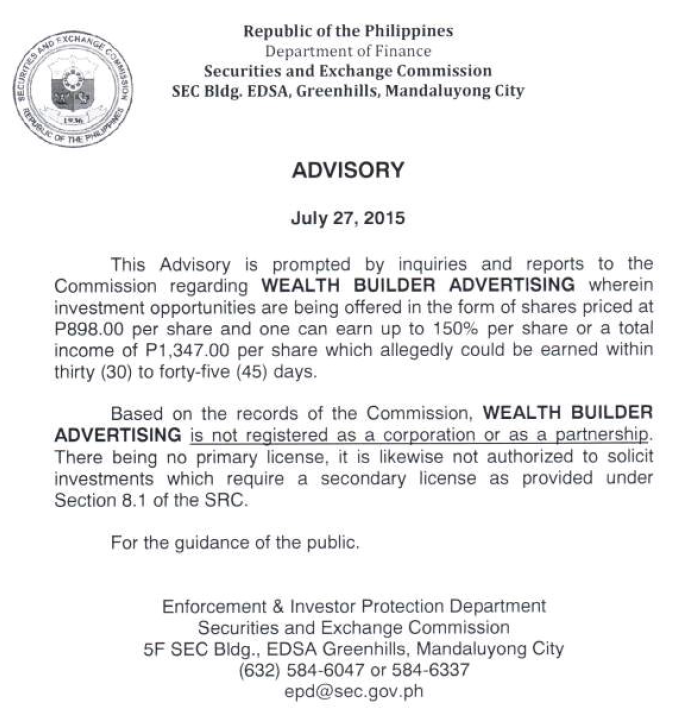 Securities and Exchange Commission (SEC) has issued an advisory dated July 27, 2015, telling public that WEALTH BUILDER ADVERTISING is not duly registered corporation or as partnership. Therefore, there is no actual license and not authorized to solicit investments. 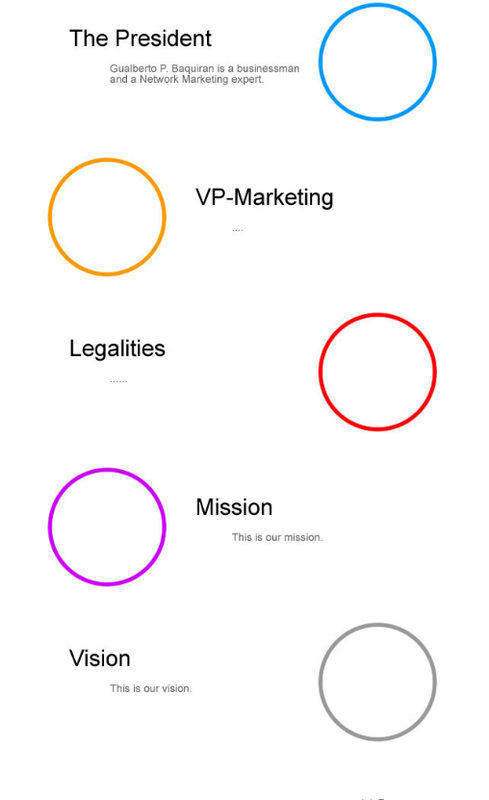 What is Wealth Builder Advertising (WBA)? WBA is an advertising that pays you back. According to its Terms and Agreement, Wealth Builder Advertising (WBA) is a purveyor of internet-based advertising company. Purveyor means a person who sells or deals in particular goods. With its disclaimer too, WBA is no way be represented as an an investment opportunity or seller of securities, stocks, bonds or other financial instruments. 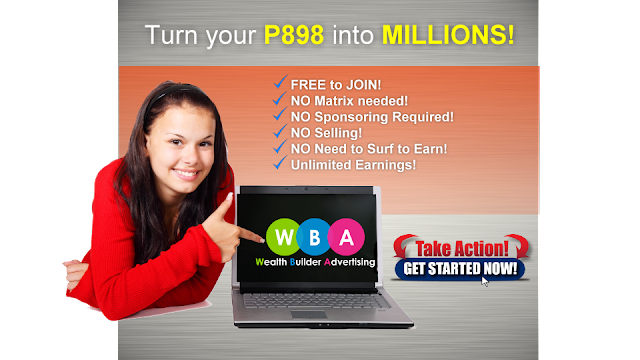 So what is P898.00 to P1, 347.00 per share means? Basically, member follow simple 3 steps only. There are two ways to earn too. 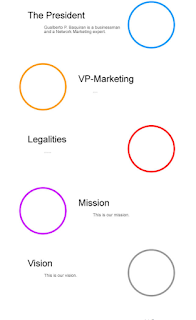 REVShare - wherein member can earn 50% his/her shares. Currently, the company president is a businessman and a networking marketing expert - Gualberto P. Baquiran.